For AKG K 315 In-Ear Bud that don't fall out use BudLoks™ - Far End Gear™ Products for outdoor enthusiasts - earbuds, earphones, and earbud sport grips. 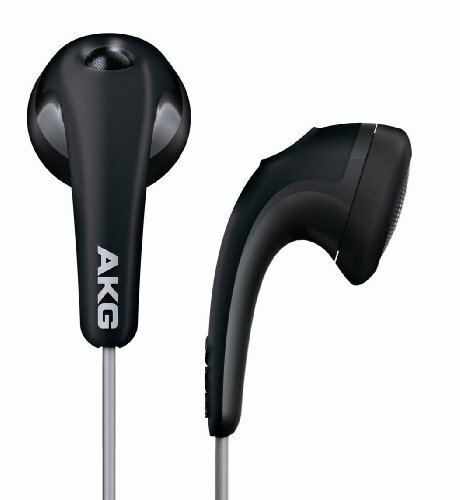 The AKG K 315 in-ear bud headphones deliver true AKG performance - high-output sound and excellent frequency response - from virtually any portable device, including iPhone. Using larger 13mm drivers and a Super Bass circuit, they deliver a rich, dynamic listening experience from any portable device making them the perfect upgrade. Want to hide your portable device away? Not a problem. The K 315's have an in-line volume control that gives you full control of your sound even when your device is tucked safely away. Sculpted in deep black, their lightweight, comfortable fit makes them the perfect companion for everyday use. A protective carrying pouch is even included to keep your headphones safe and secure when not in use. Lightweight, comfortable fit makes them the perfect choice for everyday use. iPhone compatibility allows use with an iPhone without the need for an extra adapter. In-line volume control gives you complete control of your portable device's volume even with it tucked safely away. Included carrying pouch helps keep your headphones safe and secure when not in use.